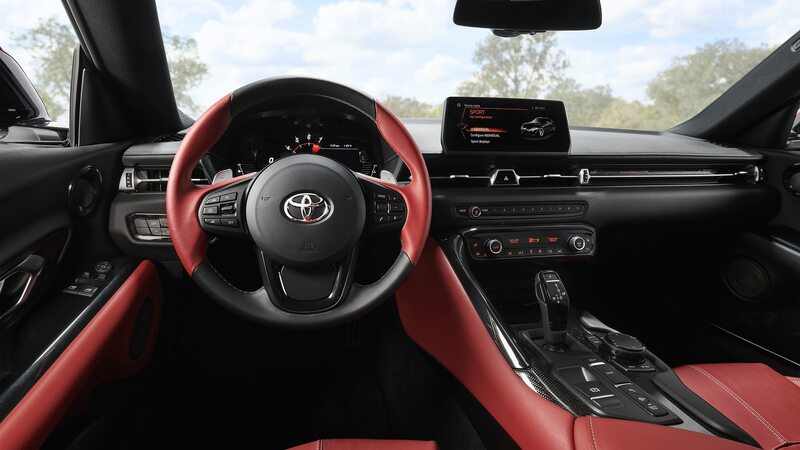 Grab those paddles and start waving. 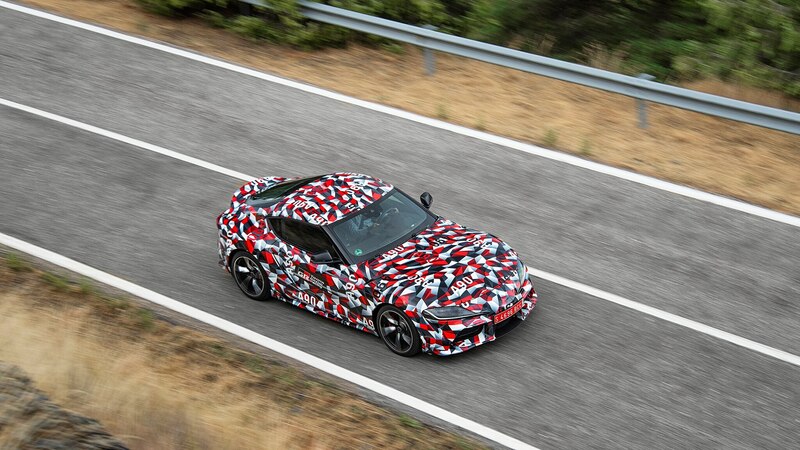 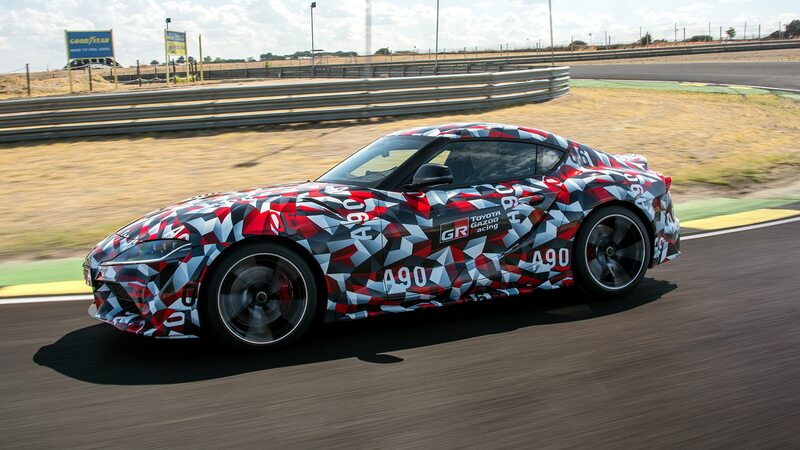 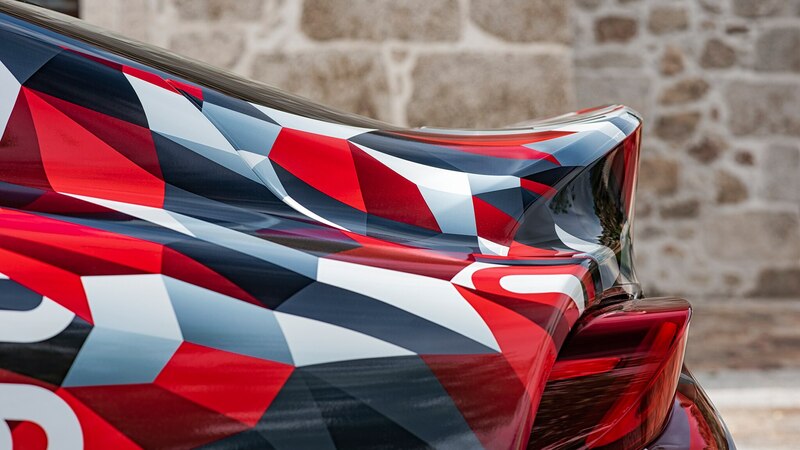 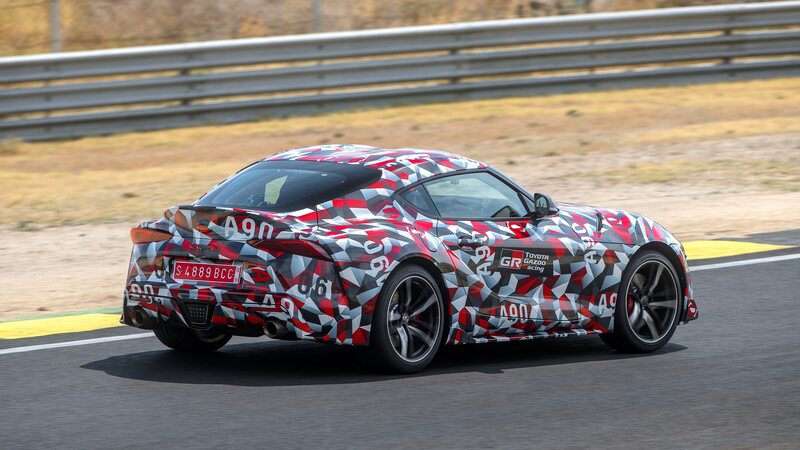 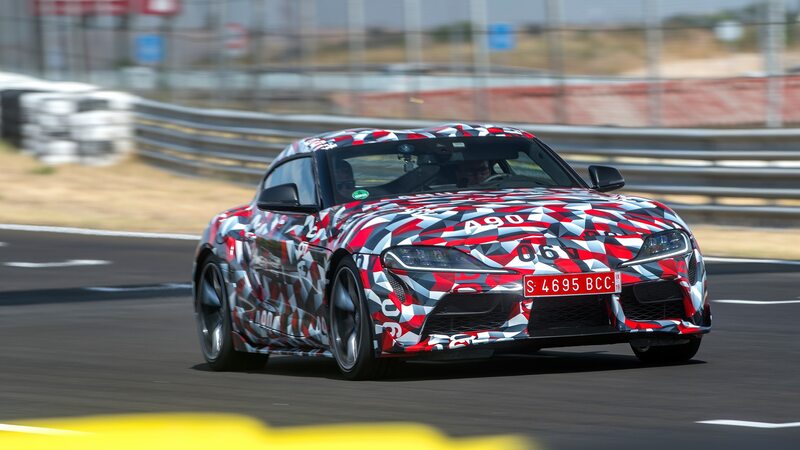 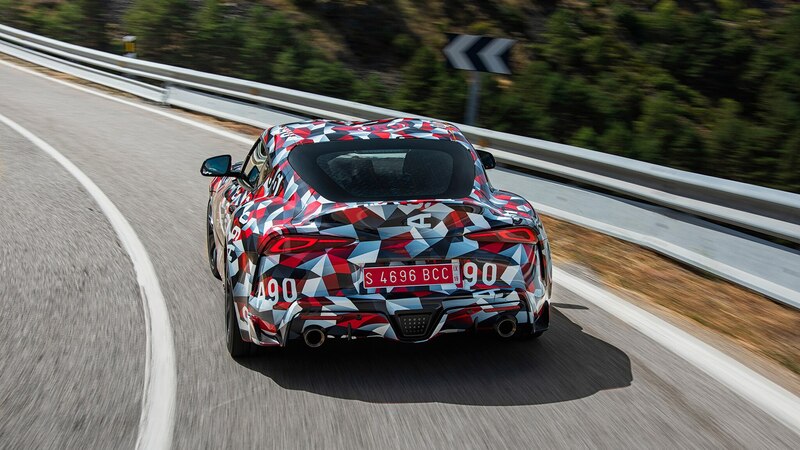 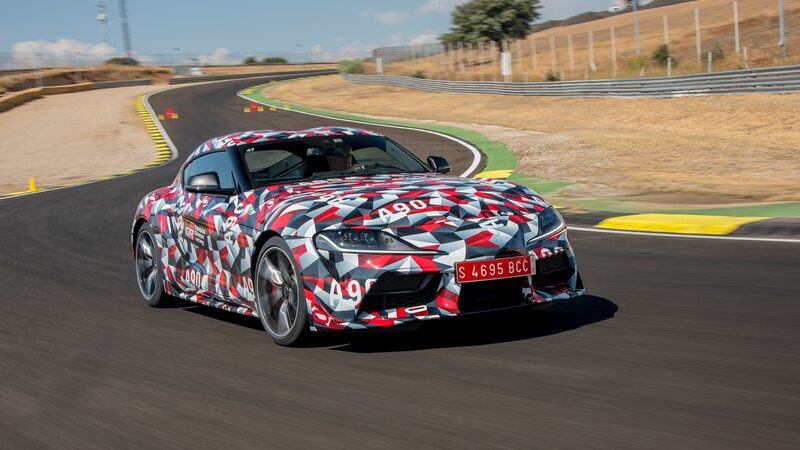 If you’re not excited for the arrival of the all-new fifth-generation Toyota Supra, you might want to check your pulse. 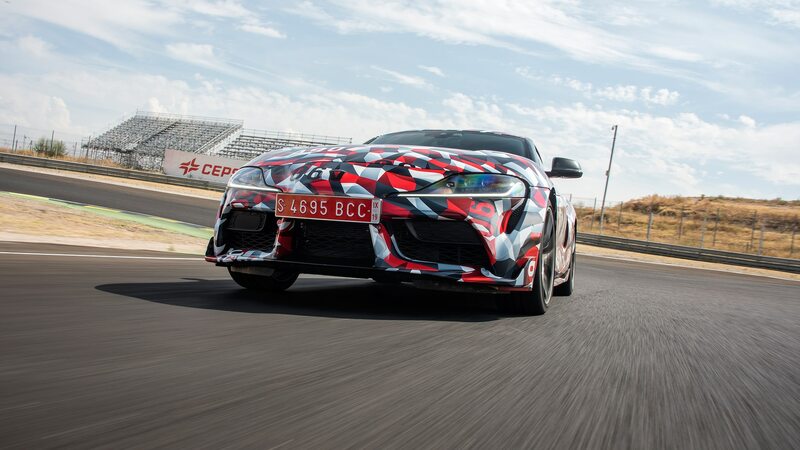 We’ve already driven the prototype and can tell you Toyota is on the right track. 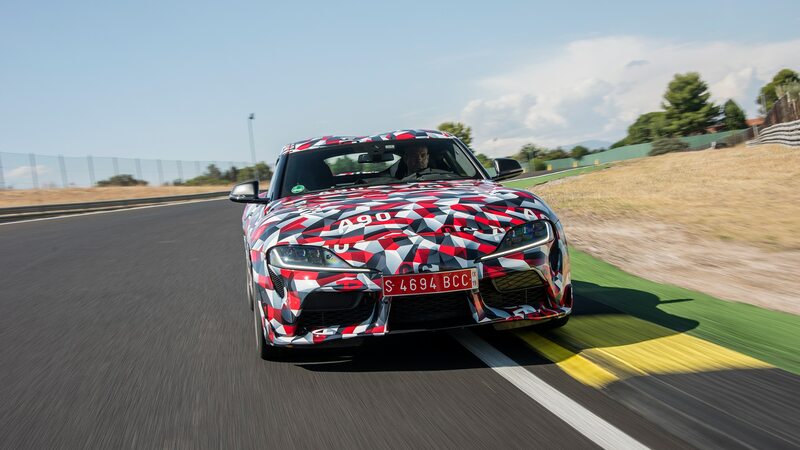 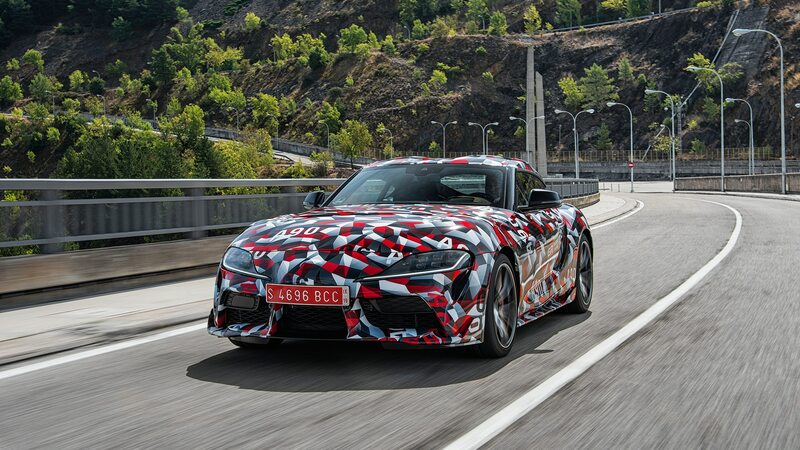 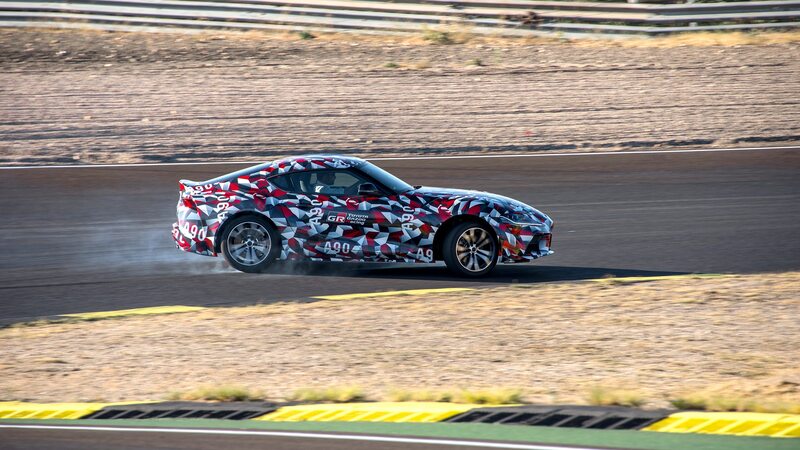 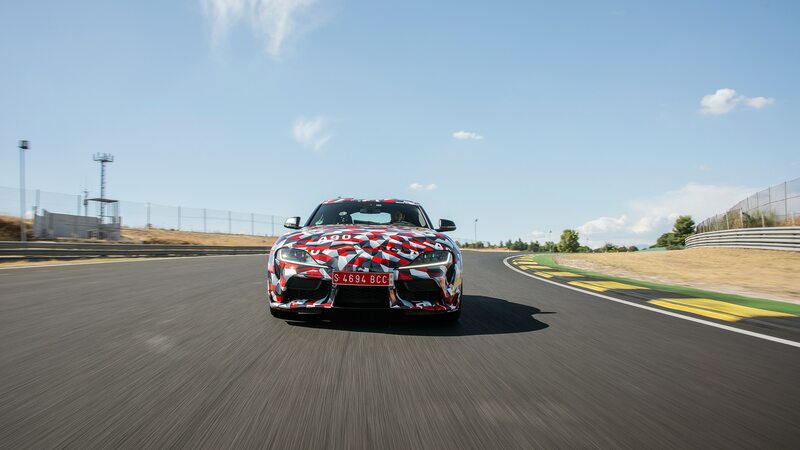 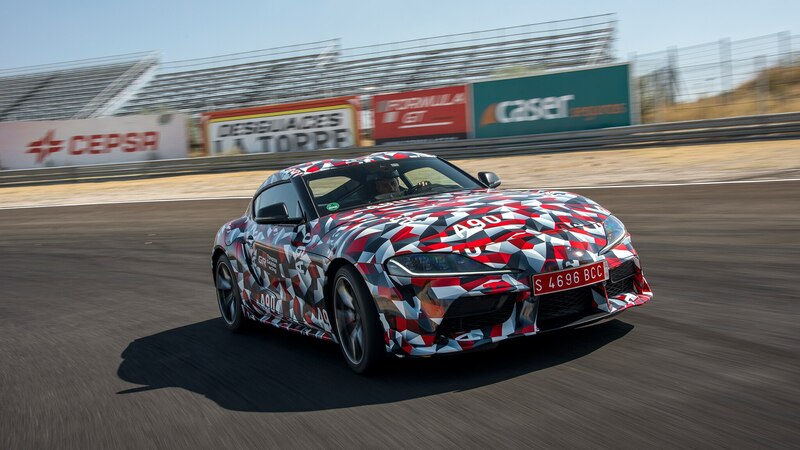 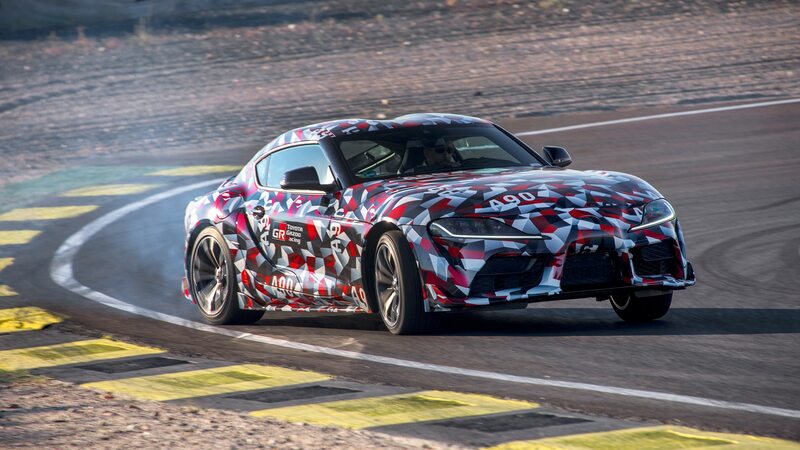 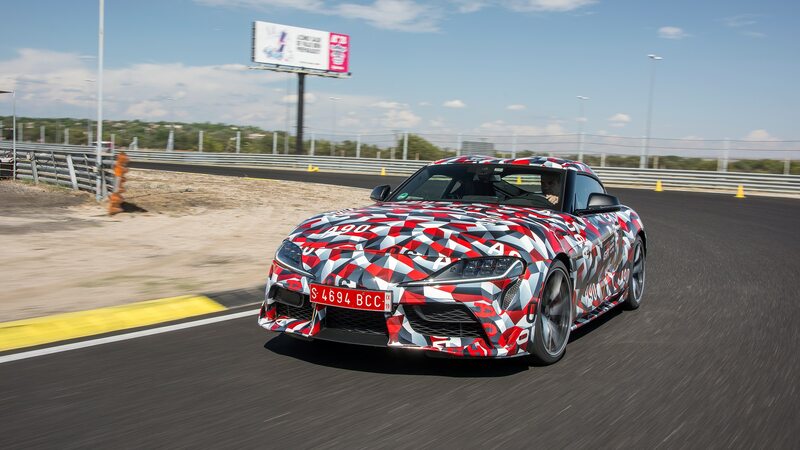 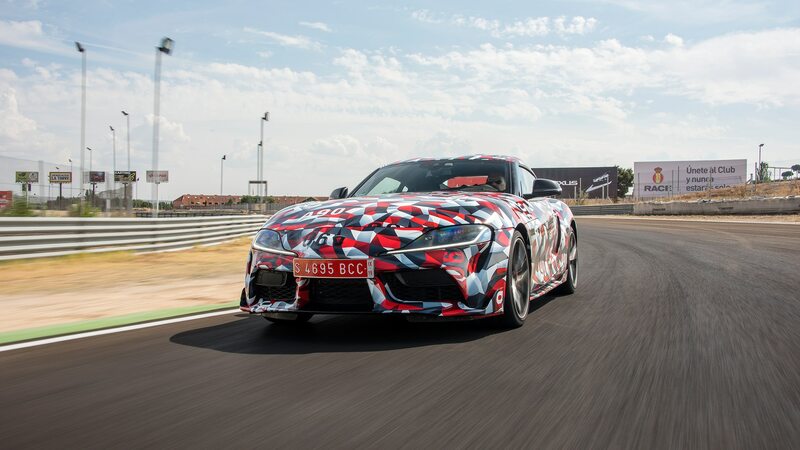 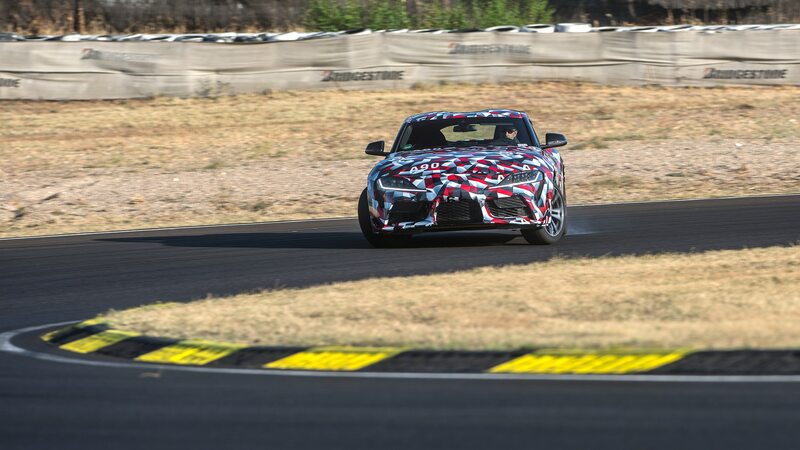 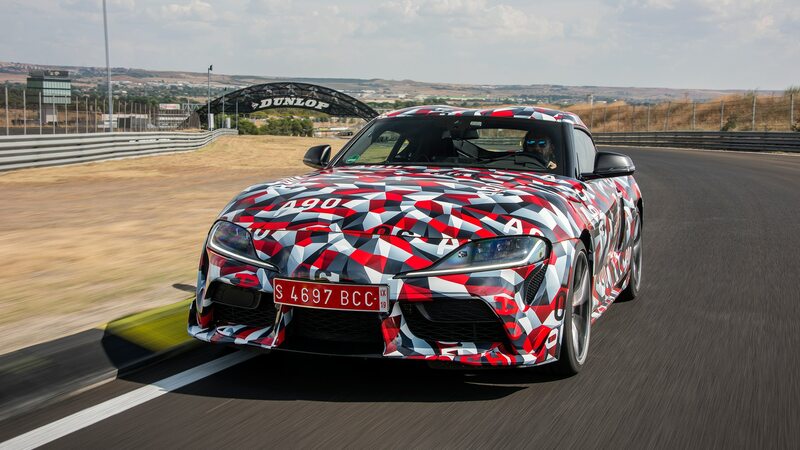 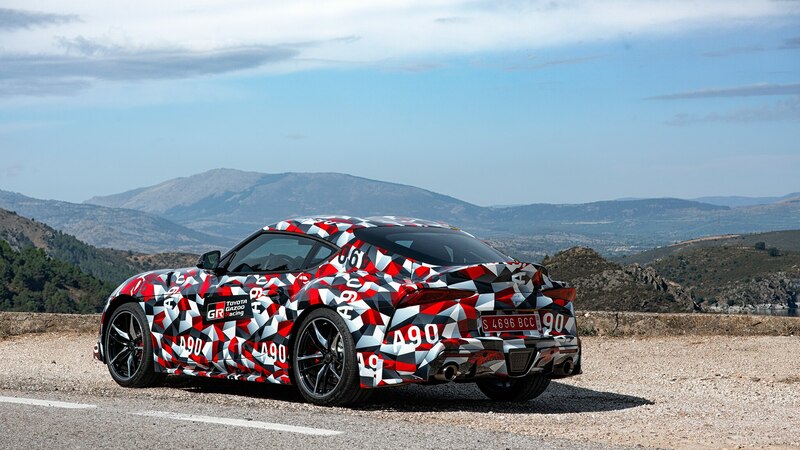 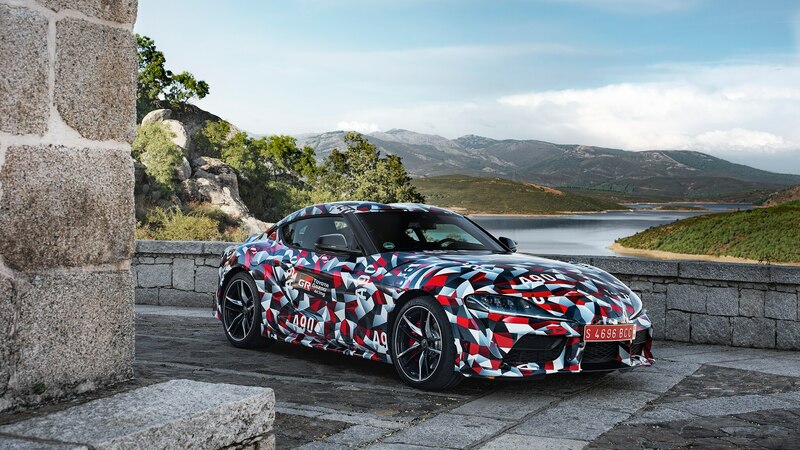 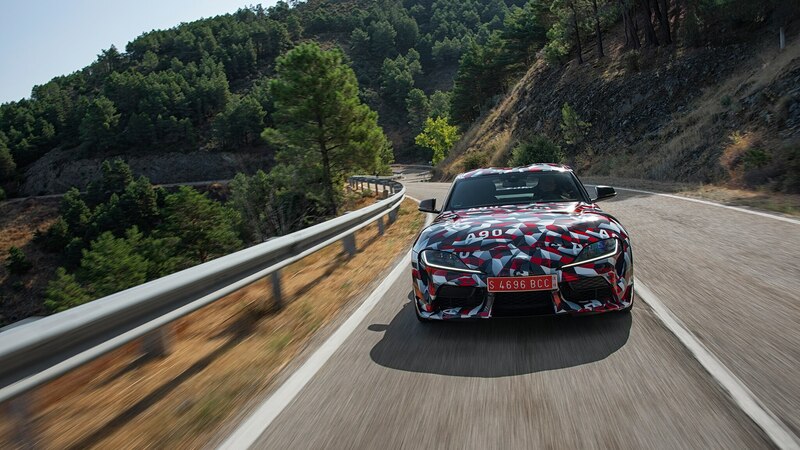 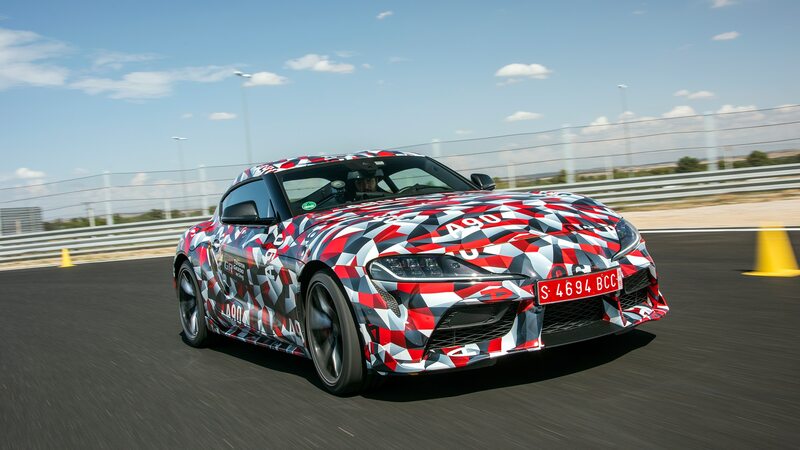 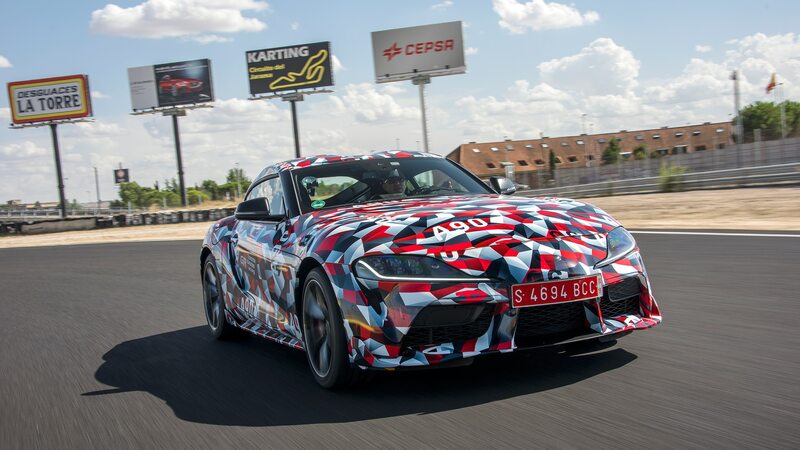 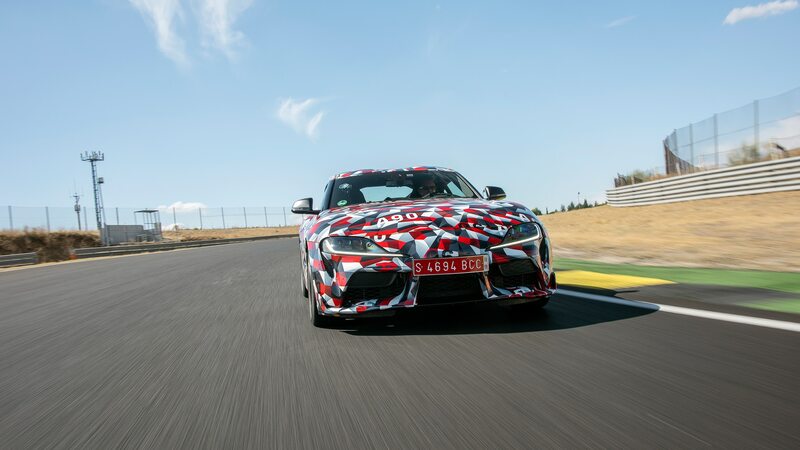 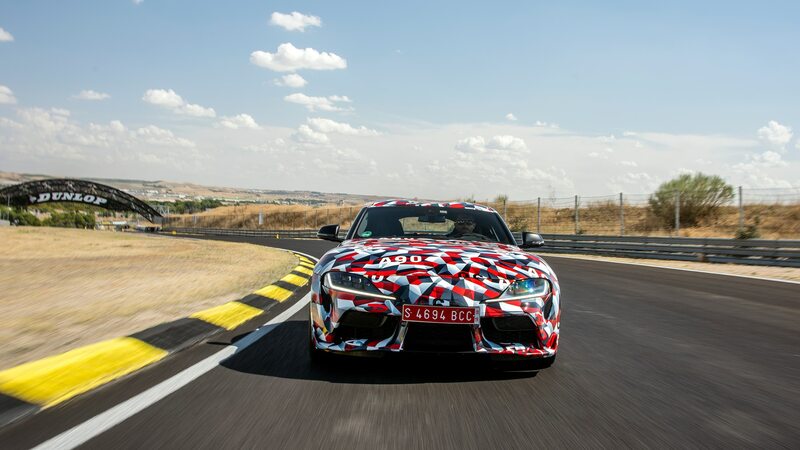 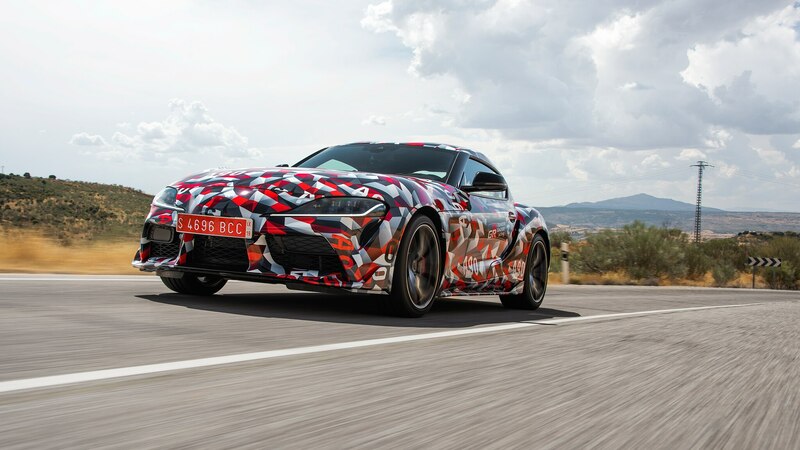 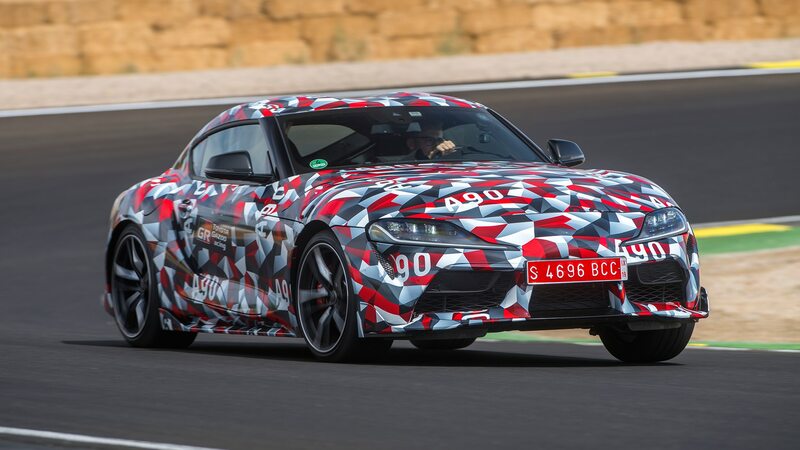 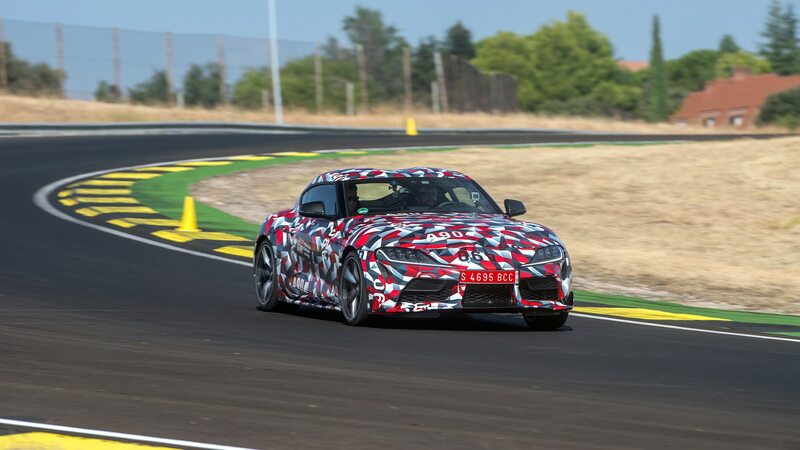 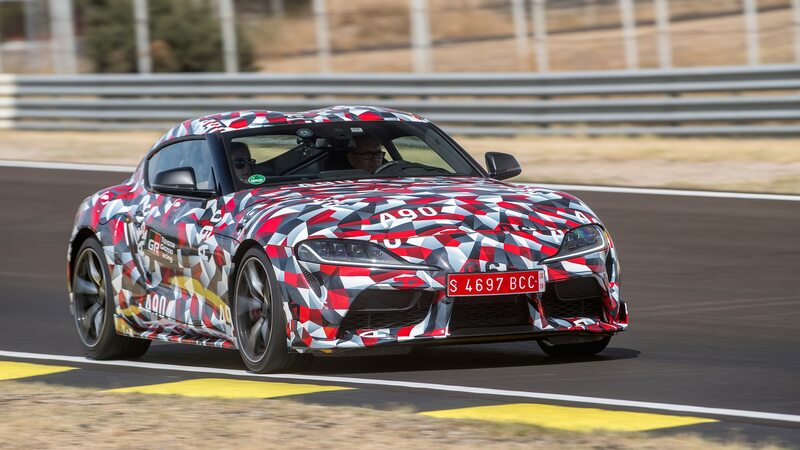 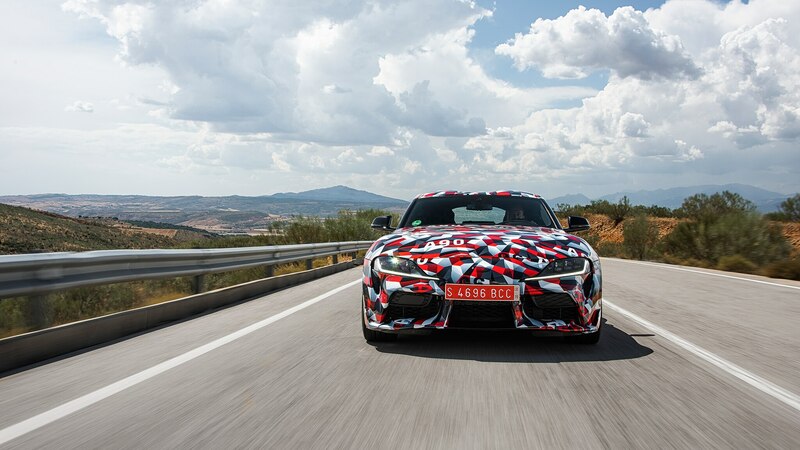 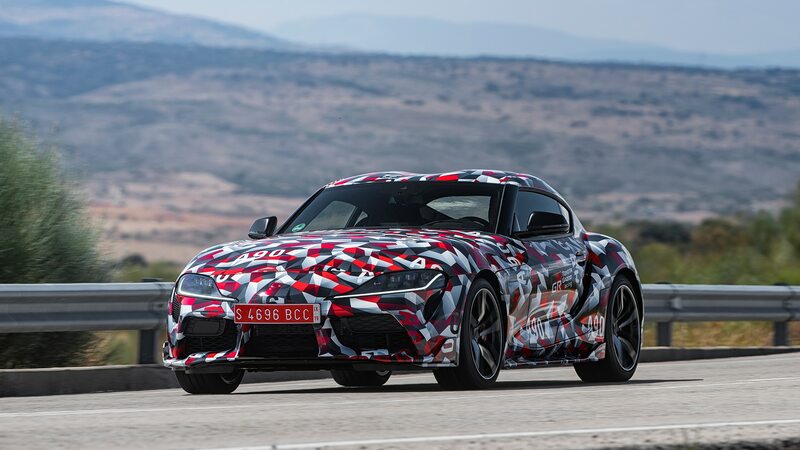 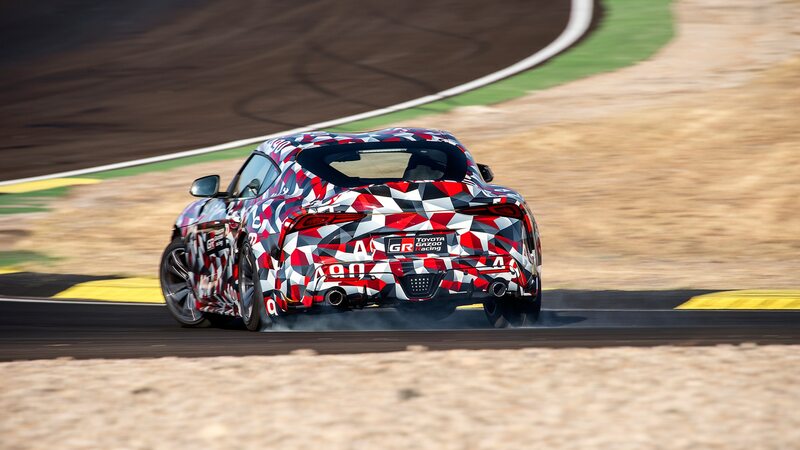 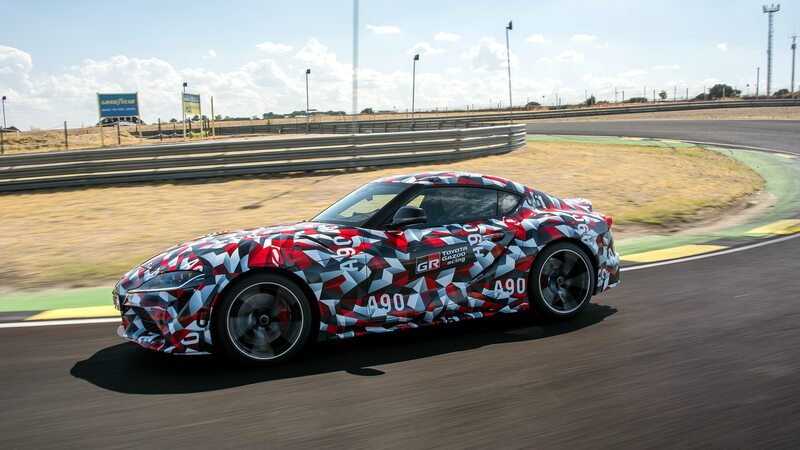 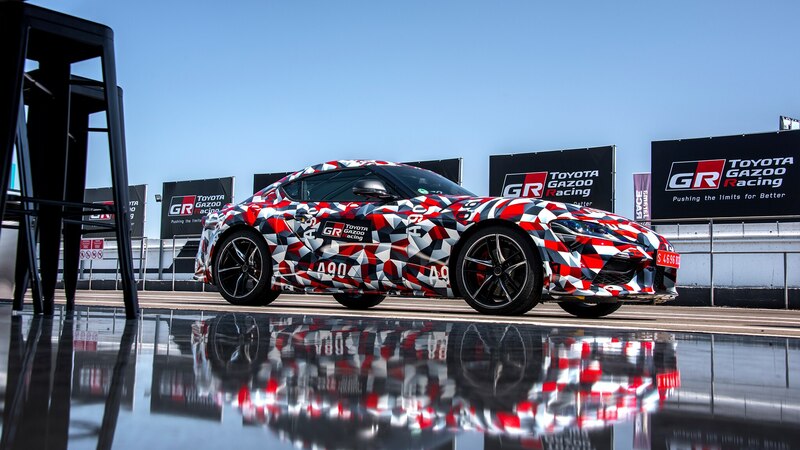 But if you want to be the very first civilian to taste what the new Supra’s cooking, you’ll need to grab your bidder’s paddle and head for Scottsdale, Arizona. 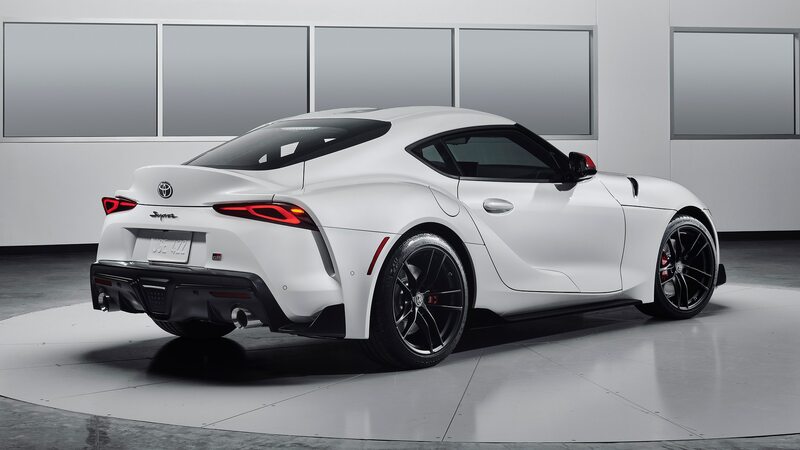 The first production MkV 2020 Toyota Supra will be up for auction there next month on Saturday, January 19. 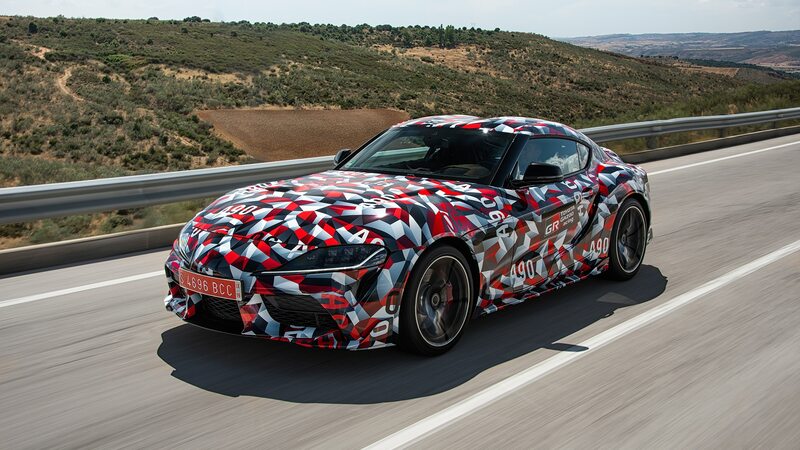 Bearing VIN number 20201, this particular new Supra will be the first to be sold in the U.S. in more than 20 years. 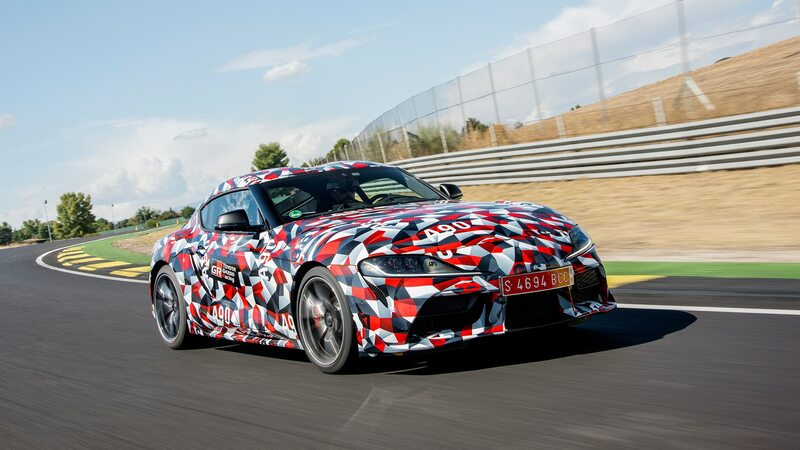 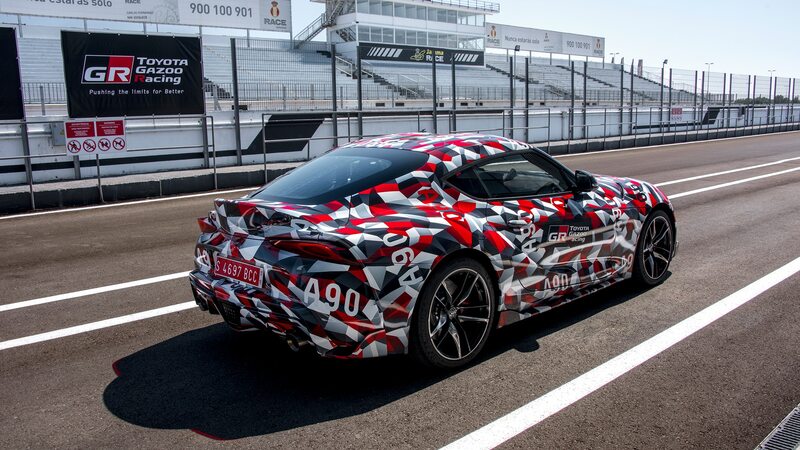 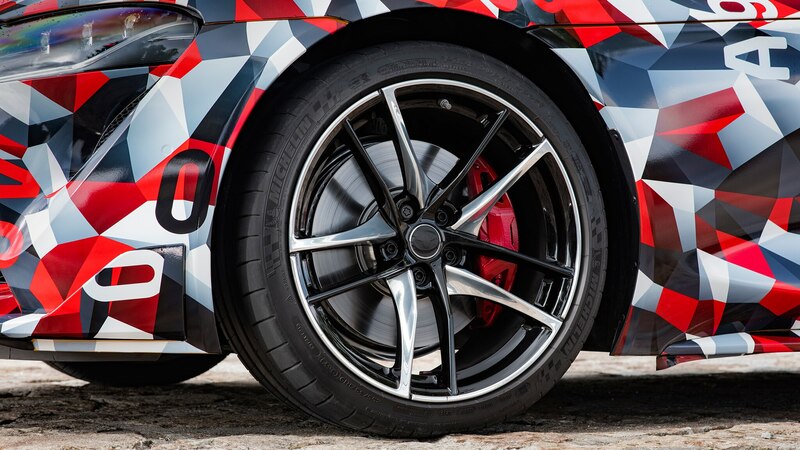 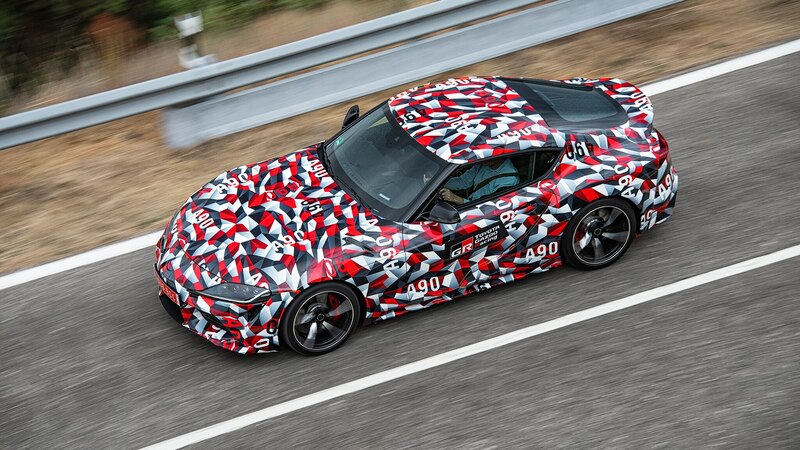 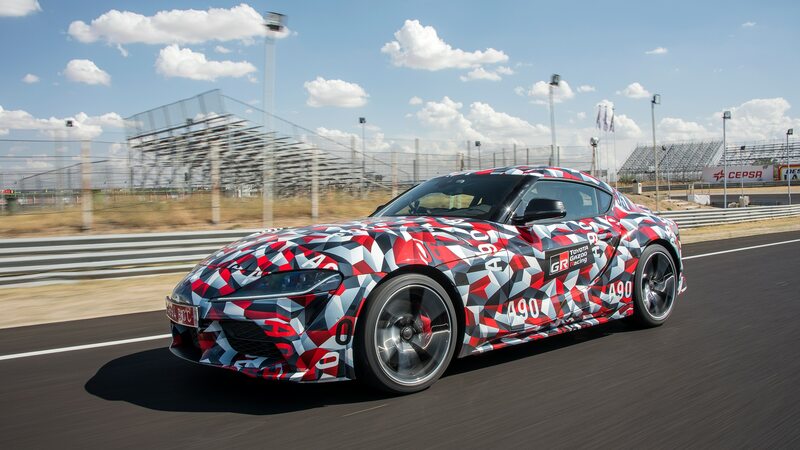 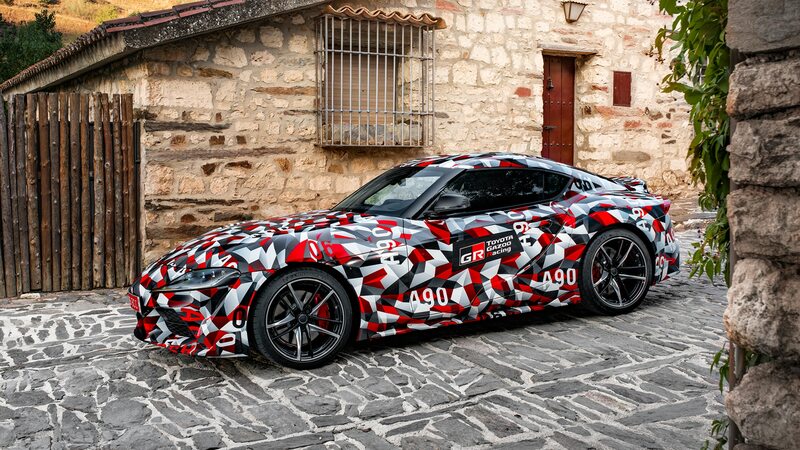 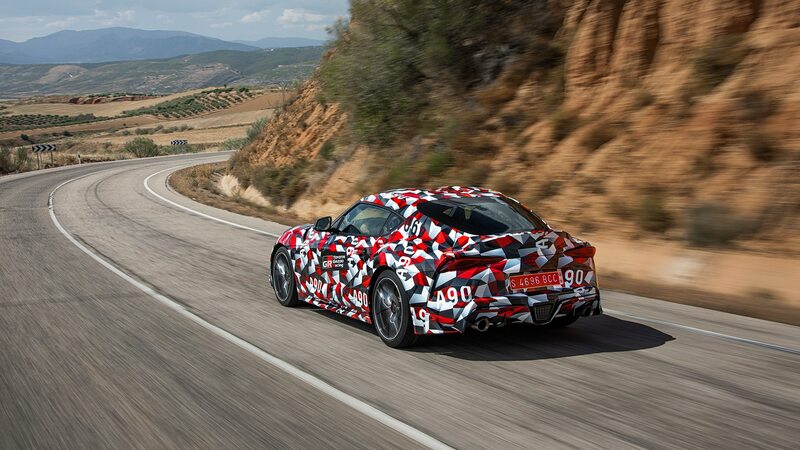 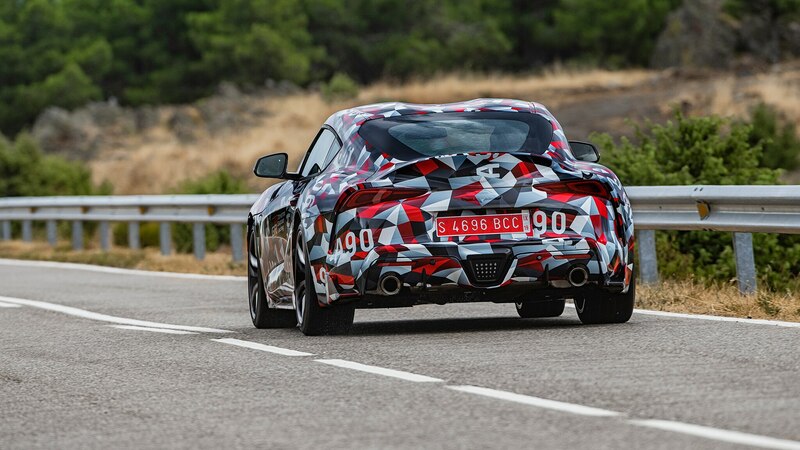 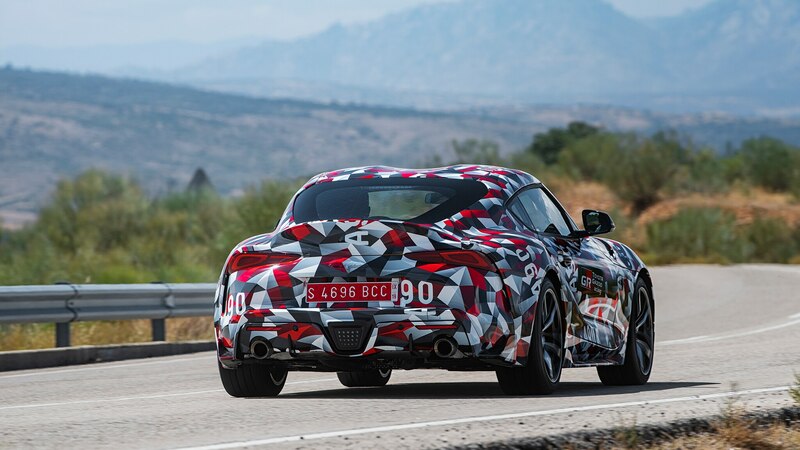 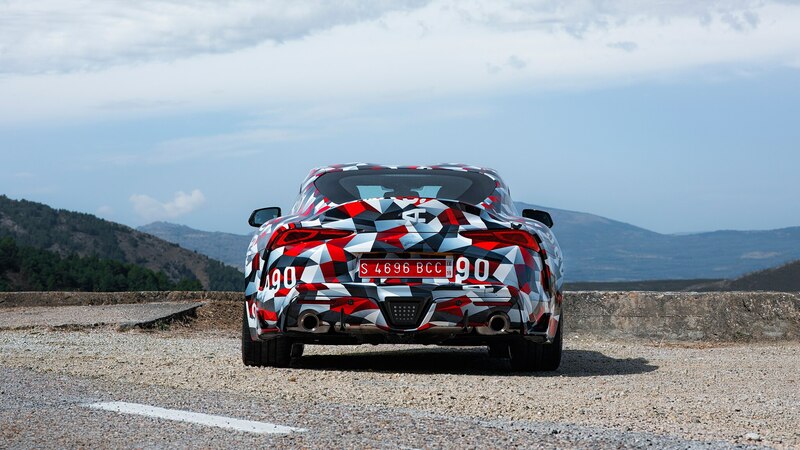 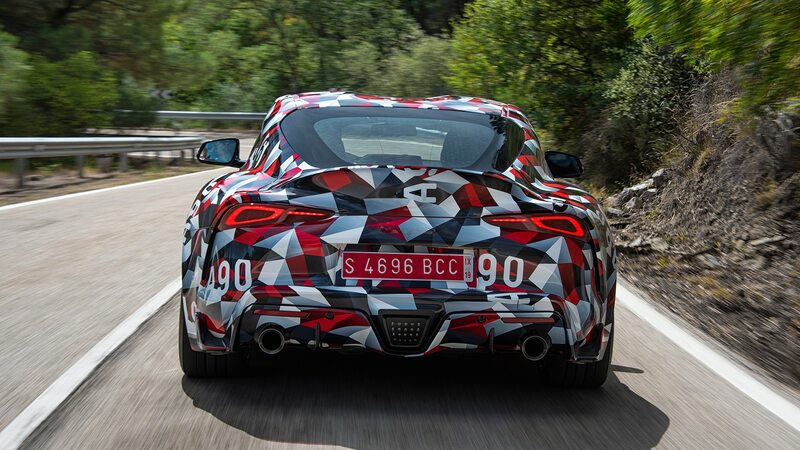 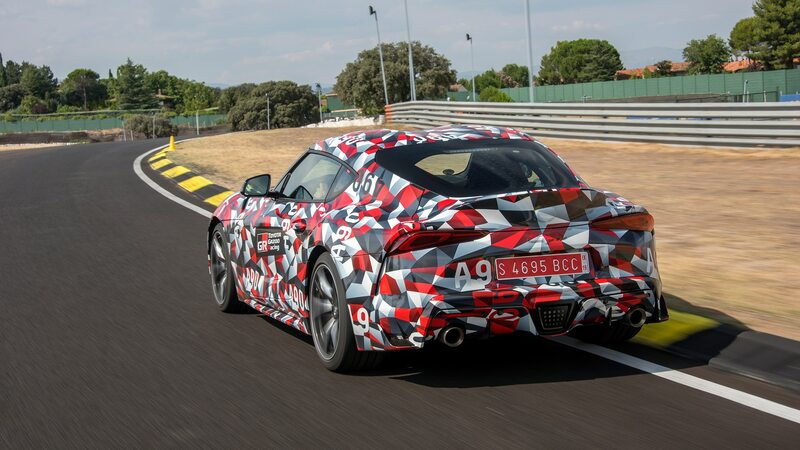 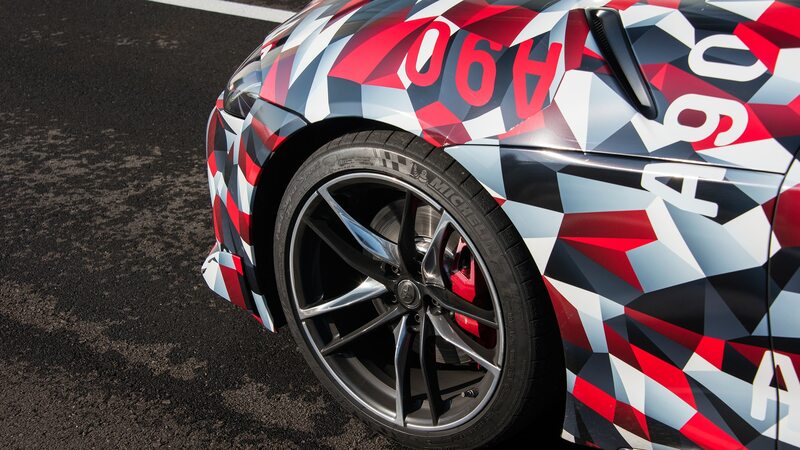 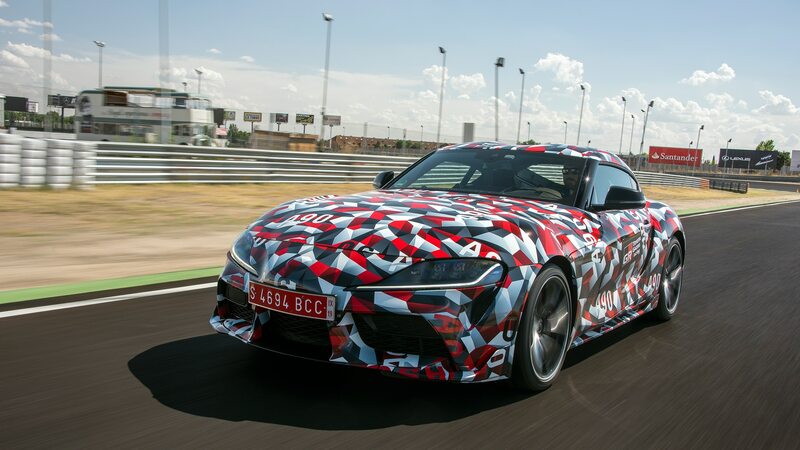 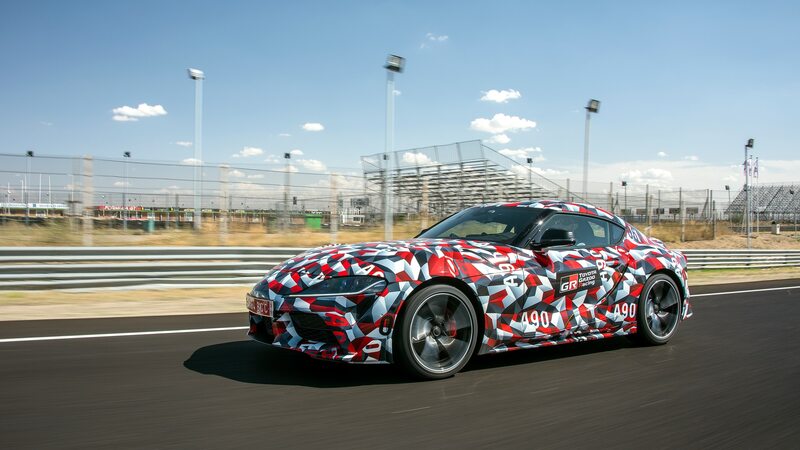 Finished in matte-gray paint over red leather and featuring matte black wheels and red mirror caps, the first 2020 Supra will also get a carbon-fiber badge on the interior to indicate its exclusive status. 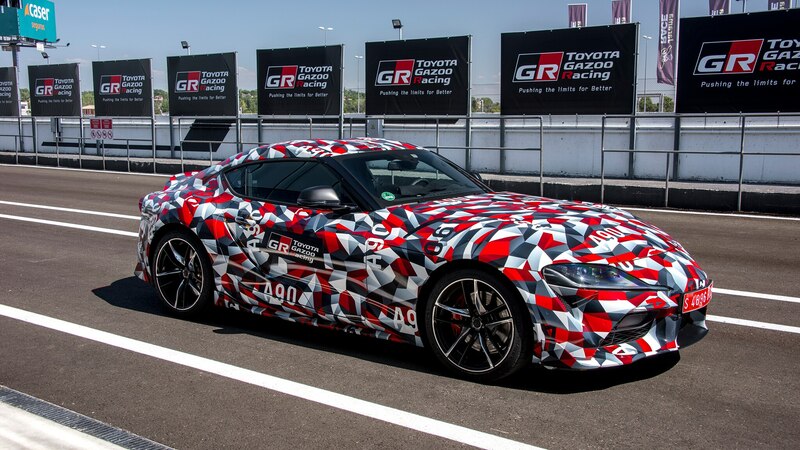 While the price at auction will likely dwarf the car’s as-yet-unannounced MSRP, well-heeled Supra aficionados can take comfort in the knowledge that proceeds of the sale will be donated to the American Heart Association and the Bob Woodruff Foundation, which helps service members and their families coping with the aftereffects of 9/11. 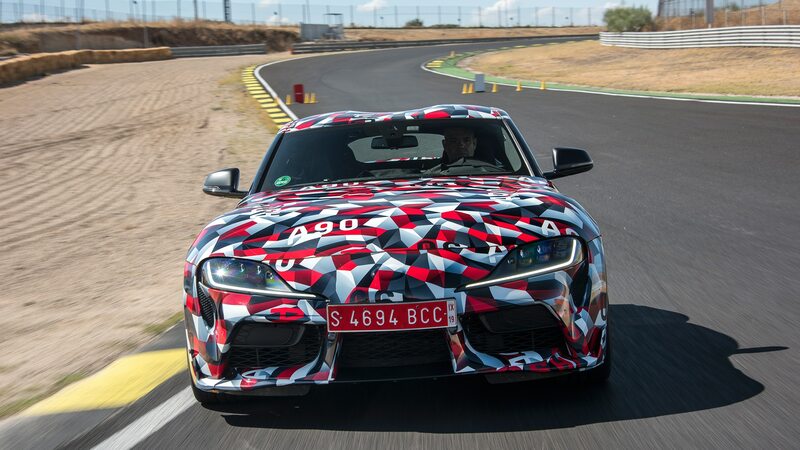 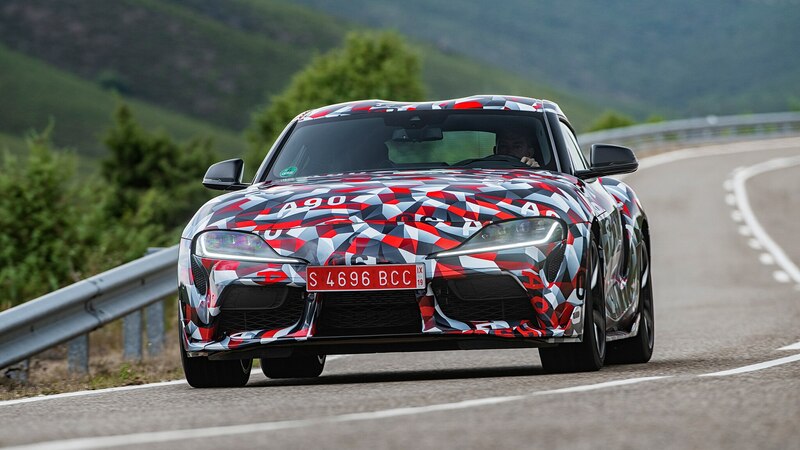 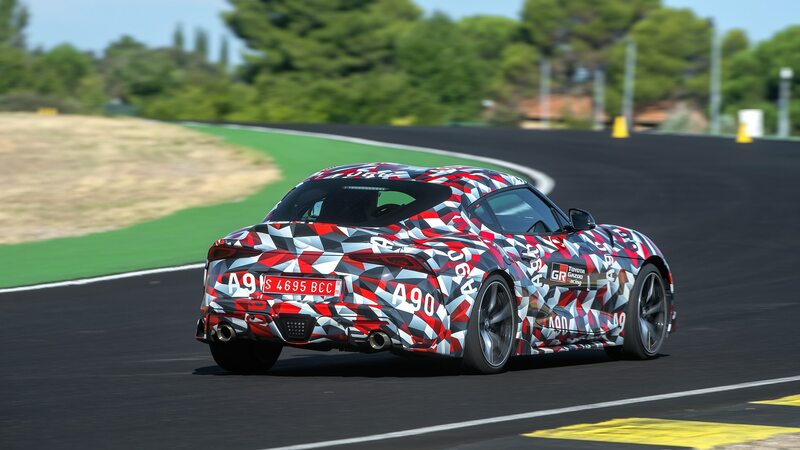 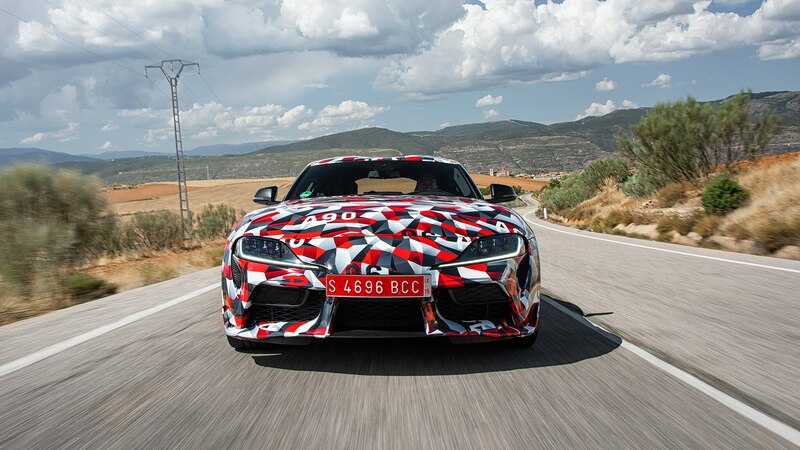 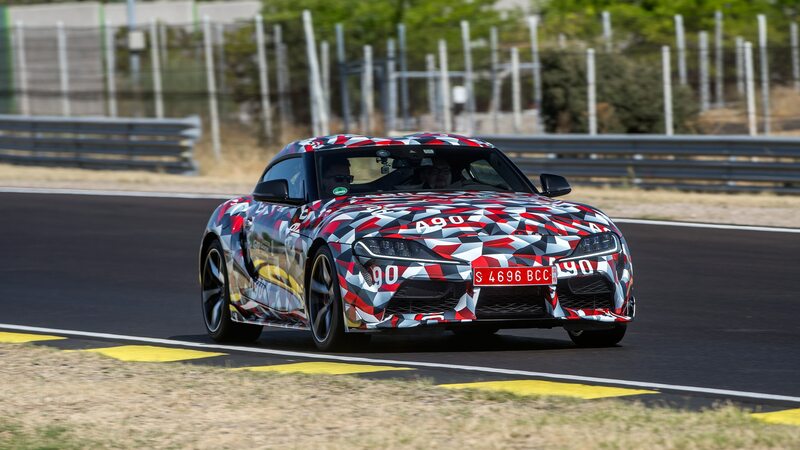 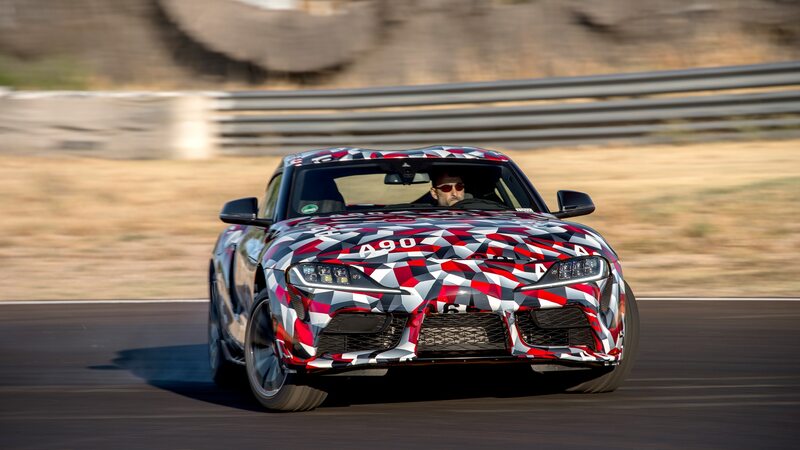 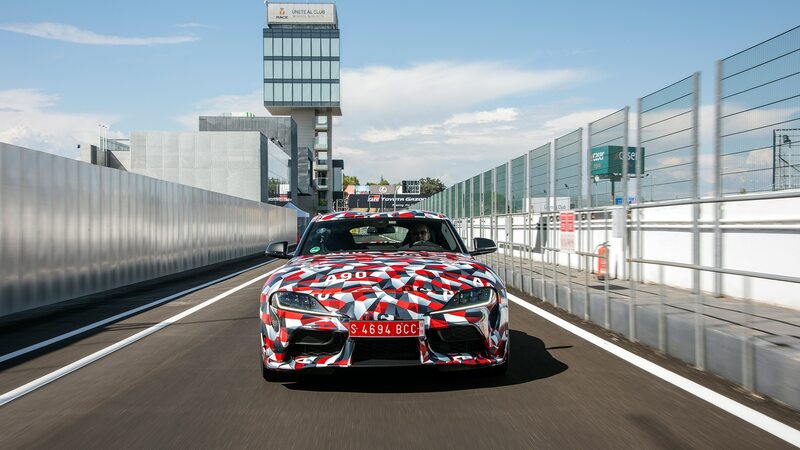 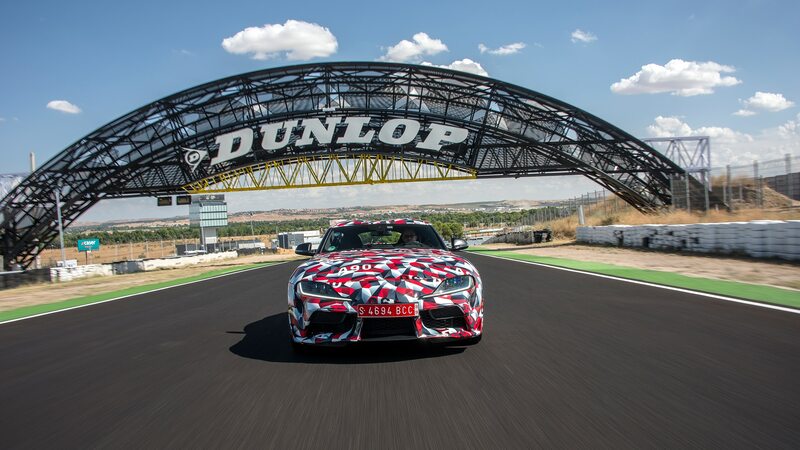 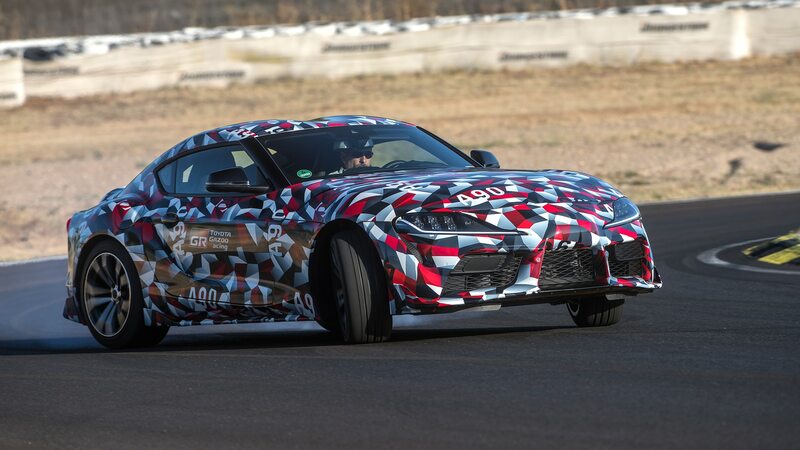 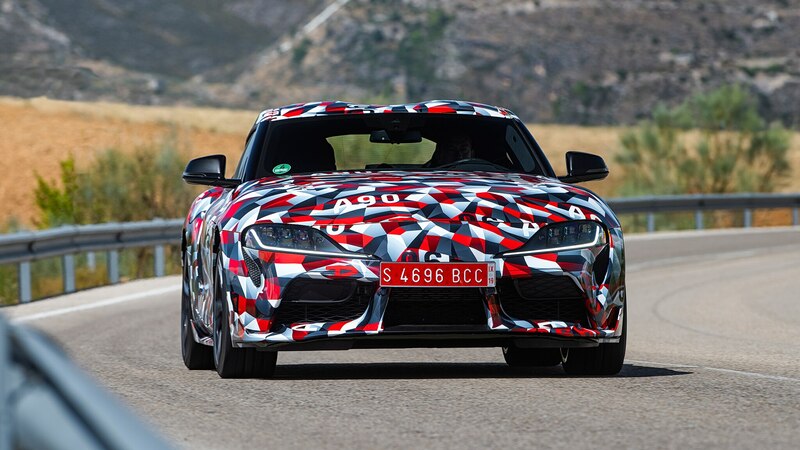 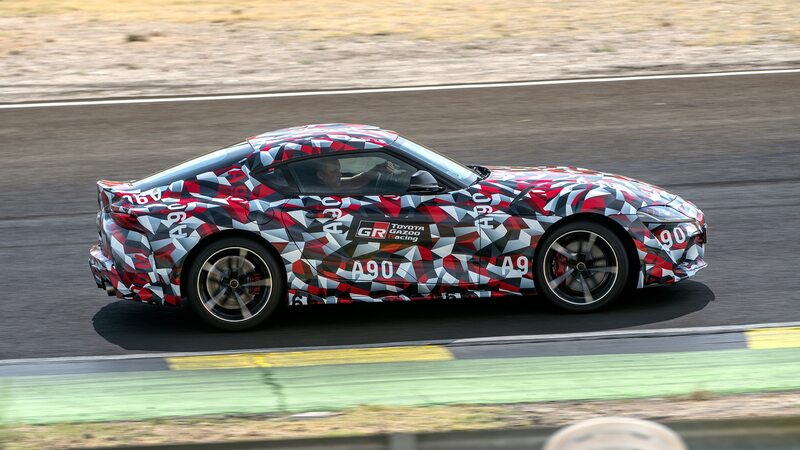 For more Supra, don’t miss the sneak preview of the new Supra’s front end sans camouflage courtesy of fan forums this week, and be sure to check out the Gazoo Racing concept, NASCAR Supra, and Supra Super GT concept to get a taste of the motorsports legacy Toyota is already building around its fifth-gen sports car. 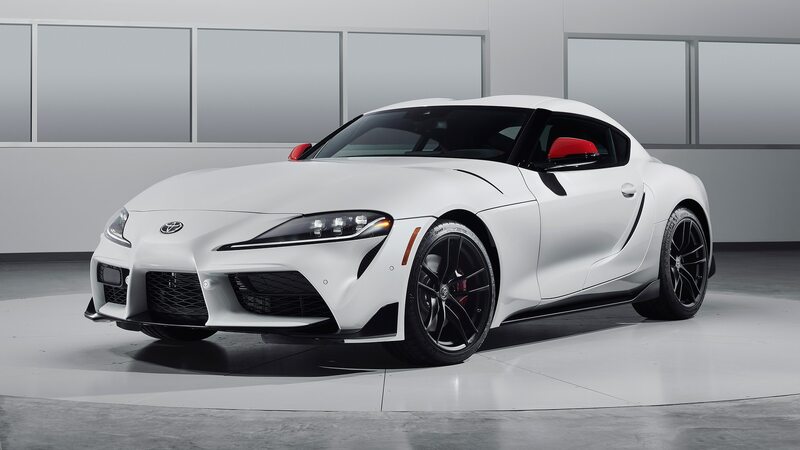 When you’re done there, hit up our auctions page to stay up-to-date on all the latest and greatest to fall under the gavel, while the event itself will of course be broadcast on Motor Trend Network and Discovery.